Link Lock: Formerly Link Protection. 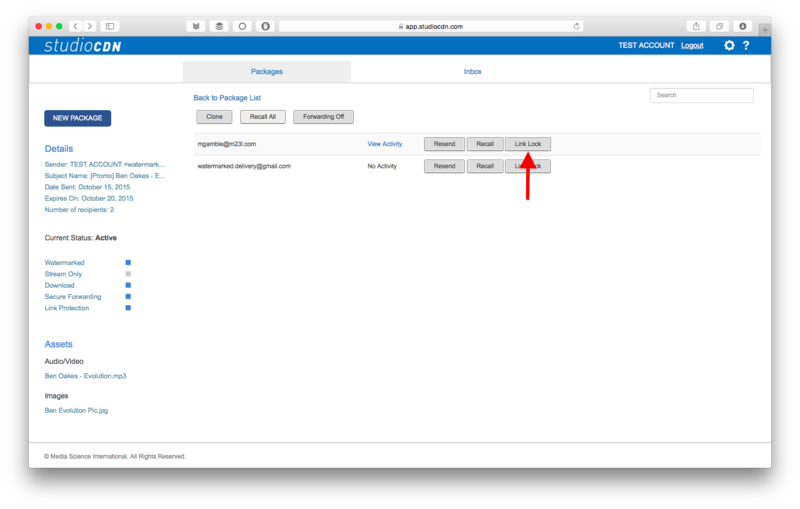 Located in the recipients section under Delivery Details, this feature disables the browser locking option for the specified recipient’s* device, subsequently granting parcel access from any device and browser when using the recipient’s LinkLock disabled URL. *Please Note: The Link Lock option is applied at the recipient level and cannot be enabled post-delivery. Senders should use caution when disabling this option as doing so enables parcel access to anyone in possession of the link.